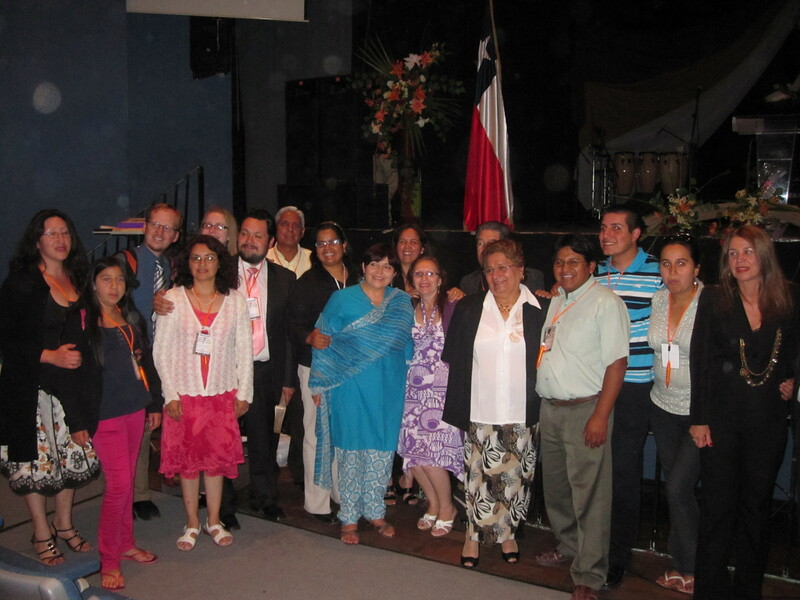 For the last several days, we’ve been attending the annual meeting of the Chilean Baptist Union (UBACH). We’ve had sketchy Internet connection in our hotel, so please forgive us for not posting more this week. Of course, even if the Internet had been working properly, I’m not sure we would have had time for blogging. They pack their annual meetings full! We have been so blessed to be able to be a part of this meeting. The members of UBACH have really made us feel welcome. I’m not really sure what I expected, but I’ve been blown away with how supportive the Chileans are of us coming to work with Marcelo. Thursday night, we were presented to the members of UBACH along with the other missionaries that are doing work with the Aymara. During the prayer they said for our “team,” Marcelo reached over and grabbed my hand. It was definitely a special moment—considering that a little over a week ago I was super nervous about how he would receive our coming. A large part of the meeting has been listening to reports from various committees and sub-organizations. During the missions report this morning, they introduced the UBACH missionaries and Marcelo made sure that we were included in that. 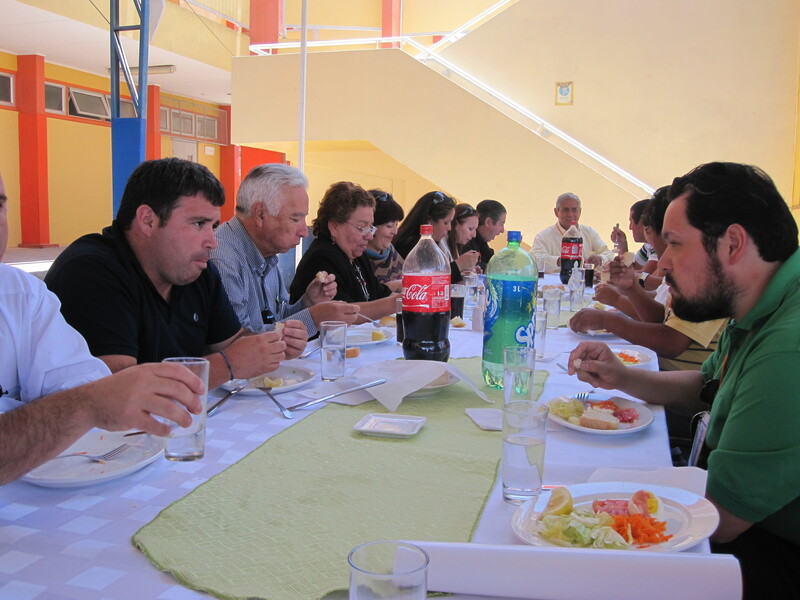 We also attended a lunch today for UBACH missionaries and were able to be a part of a small meeting they had afterwards. I have to admit that I’ve felt a little awkward since we’re not actually UBACH missionaries, but they insist that the work we’re doing with Marcelo makes us like UBACH missionaries. During the meeting, each of the missionaries shared a little bit about their work and about what they’re grateful for. I’m very glad that Blake and I had the chance to express how much we’ve appreciated how hospitable and welcoming they’ve all been. It’s very nice to know that we have support in both Americas.